Authorities have arrested the suspect in a Thanksgiving shooting at an Alabama mall where police killed a man they mistakenly thought was the gunman, U.S. Marshals confirm to CBS News. 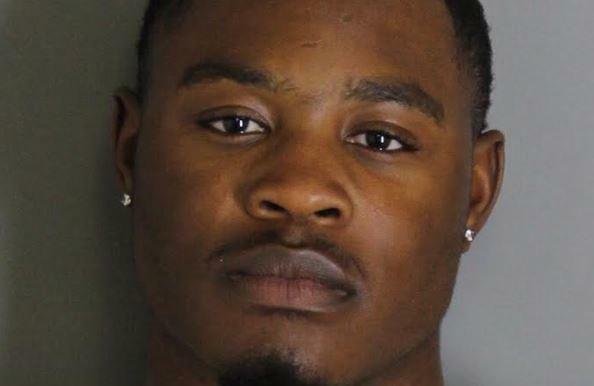 Erron Brown, 20, of Bessemer, Alabama, was arrested around 9:30 a.m. in the Atlanta area after a fugitive task force in Birmingham developed leads that he was with family in the area, according to U.S. Marshals. Inspector Frank Lempka with the U.S. Marshals in Atlanta said Brown was arrested at a relative's home and taken to the Fulton County jail for an extradition hearing to be sent back to Alabama. An arrest warrant was issued Wednesday for Brown in Alabama, charging him with attempted murder. Brown was charged in the shooting of Brian Xavier Wilson, 18, of Birmingham, who was wounded. He wasn't charged with shooting a 12-year-old girl who also was injured. Police were responding to reports of a shooting Thanksgiving night at the Riverchase Galleria in Hoover, a suburb of 95,000 people south of Birmingham, when an officer fatally shot 21-year-old Emantic "EJ" Bradford Jr. Police initially blamed Bradford, who they said had a gun in his hand and was responsible for shooting two people at the mall. They later retracted that statement. In a statement issued Monday, police said Bradford had a gun in his hand "during the seconds following the gunshots, which instantly heightened the sense of threat to approaching police officers." Ben Crump, a lawyer representing the Bradford family, said there was a presumption that Bradford was the criminal because he was a black man. The officer who opened fire hasn't yet been identified. Brown's arrest followed days of protests over Bradford's killing in Hoover, where city leaders asked the state Thursday for permission to release more information about the killing. Emantic "EJ" Bradford Jr.'s Facebook profile picture. Demonstrators and relatives of Bradford have pushed authorities to release video and other evidence since the shooting. "If they can release them Monday, they can release them today," said community activist Carlos Chaverst Jr. of the video at a press conference Thursday. "We want them released almost immediately." Activists also called for the identification of the police officer involved, and the resignation of the Hoover mayor and police chief.